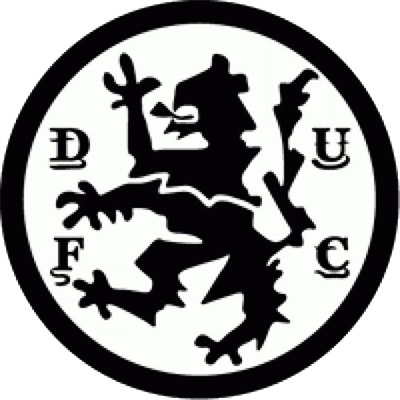 United faced Morton in the wake of a magnificent night in Europe, in which Borussia Moenchengladbach were put to the sword. However, that devastating European form had been missing on the domestic front, with home fans not having witnessed a home win since mid-September. 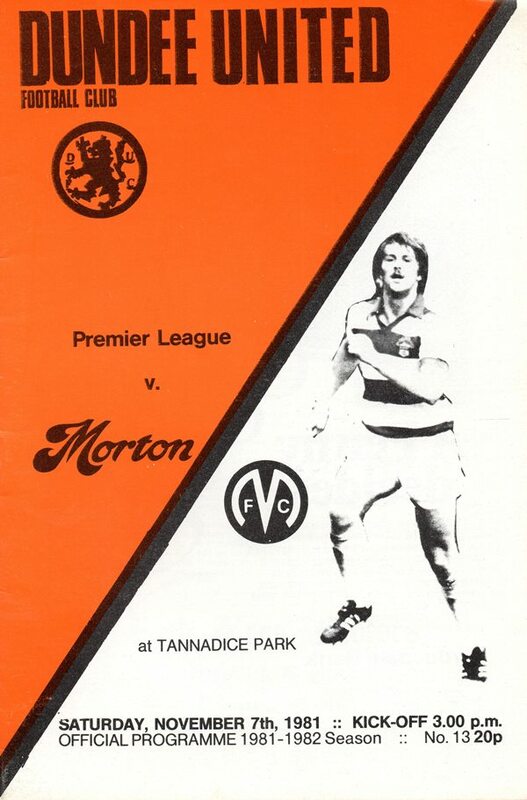 The team's slump in the League had left them sitting in 7th place, one point behind Morton. United remained unchanged from the midweek goal extravaganza, and the opening moments of the game saw chances for Davie Dodds, Paul Sturrock and Richard Gough, but the finishing was not quite as accurate as in midweek. United were almost caught out in the 18th minute, when Andy Ritchie sent a defence splitting pass towards John McNeil, who was brought down 20 yards out. Ritchie's free-kick went just wide of McAlpine's far post. Despite United's vast advantage in possession during the opening 45 minutes, it was Morton who threatened most before the interval, with both Neil Orr and Davie Hayes having chances before McAlpine raced from his box to clear from Roddy Hutchison. 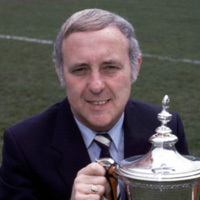 Jim McLean's half-time team talk must have worked a treat, as United were two goals up just six minutes after the restart. Two minutes into the second half Billy Kirkwood blasted in a volley from the edge of the box, and five minutes later Ralph Milne sent over a cross which Davie Dodds headed home. A similar move brought a third a goal, this time Milne's cross was nodded back by Gough for Davie Dodds to head his second twenty minutes later. Although United had hit the goal trail in recent weeks, this match was a personal success for Dodds, grabbing a brace after a goal drought of eight matches, and United rose up to 5th place in the Premier table. OK, let's call it quite for the season so far following that magnificent UEFA Cup night here last Tuesday. By that, I mean that we here at Tannadice have, in my view, just managed to level things out with you, our support. For while such occasions as that European demolition job on the Germans and such pieasing other performances at Pittodrie and in Monaco, as well as against the Dons in the league here at home, we know only full well that these have been counterbalanced by disappointments in performances in other games. And while being delighted that at last we have possibly levelled the season's score with you with our recent Cup advancements, allow me to tell you that we intend striving all the harder to ensure that we will not fail into arrears. Tuesday night's terracing response proved yet again that if you are provided with the entertainment value you seek, you will turn out to back the side. In other words, if we do our job, properly, we can entice you to come back. Therefore, as far as myself and the piayers are concerned, there is no way we can accept the dropping of standards which was displaced here In our last home league game against St Mirren. In our midweek programme I mentioned Richard Gough's name amongst those young players who are forcing their way into regular contention for first-team places. And as part of that tremendous winning side against Monchengladbach, I hope that my point was proved. While realising that the youngster lacks a bit of sharpness for a role other than his best in central defence, he still showed me that he can and will do a job for me in midfield. 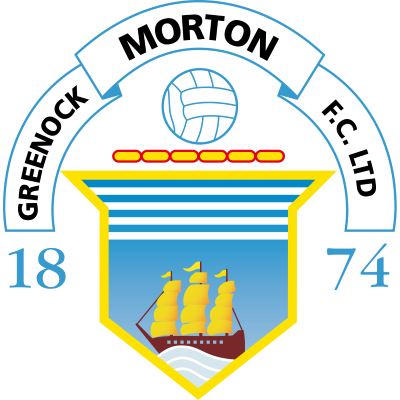 This afternoon's visit of Morton will be as vital, if not more vital, to me than the Euro date last Tuesday, and therefore it is high time that we started concentrating on accumulating Premier League points.